The grand finale of Jewish Book Week 2019, in partnership with World Jewish Relief, is a celebration of the power of words. 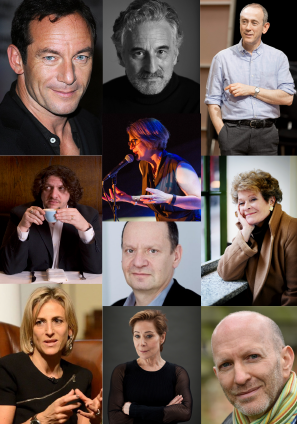 A stellar line-up, featuring Henry Goodman, Nicholas Hytner, Jason Isaacs, Brian Leveson, Emily Maitlis, Simon Sebag Montefiore, Jay Rayner, Philippe Sands, Janet Suzman and Zoe Wanamaker, will read poems, letters and speeches, stretching from the beginnings of Jewish history, right up to the present day. Prepare to be piqued and provoked, dazzled and delighted. Tickets for this event have now sold out.